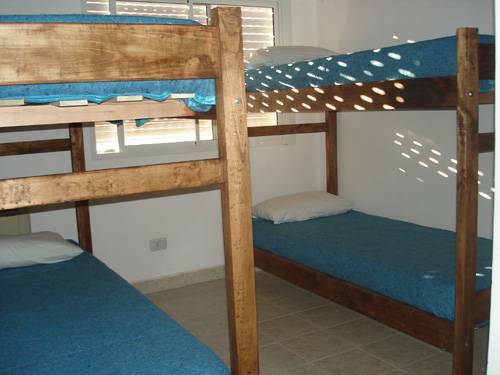 Chepatagonia Hostel establish it self in this paradise to offer the best accommodation, amazing ocean view! !, all the facilities and outstanding services to travellers around the world. 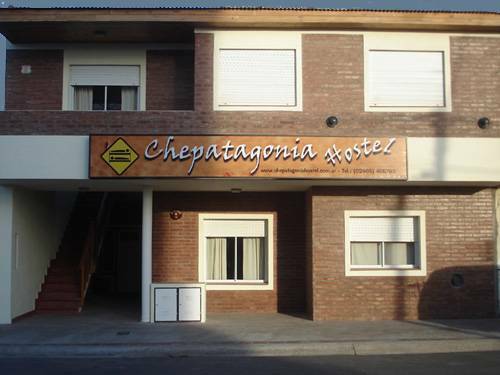 Chepatagonia is the only hostel sited a few metres away from the beach. During the whale season, you can see the whales from our balcony and even from the cafeteria/dining room while you are having a nice cup of coffee!!! As our hostel is located in the city centre, you can walk to every place of interest in the city (museums, pubs, restaurants, shops, banks, supermarkets, post offices, etc.). We are inviting you to our home, a place with all the comfort, facilities and services you were looking for: private and/or shared rooms; a new and spacious fully-equipped kitchen; a TV/DVD room where you can find films to watch, and a play station 2 with games; a dining room where you can enjoy a beer or a good Argentinian wine with other guests, have a nice chat about your experiences and make new friends; a yard with a barbecue (we offer barbecued meat every week) and a ping-pong table; a library with worldwide tourist information and books to swap; and, obviously, breakfast, internet, WIFI, private bathrooms with excellent showers and hot water for twenty-four hours, lockers and a luggage room. 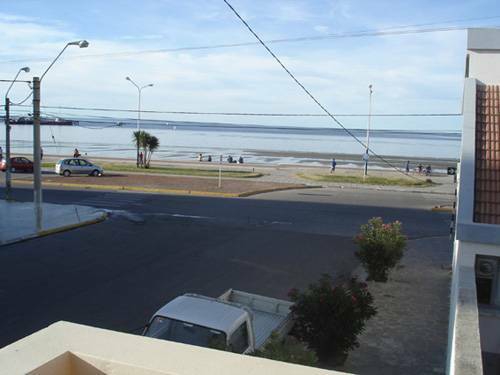 A young couple runs the Hostel, two people who love travelling like you, who know what your needs are and who are willing to give you a helping hand and provide you with all the information you need, not only about Puerto Madryn but also about the whole Argentina. And remember this… Here you can book tours and get interesting discounts, even in advance. You just have to e-mail us… that’s all. We are inviting you to enjoy planned activities or just to relax on the beach opposite the hostel and to enjoy nature. That is why we are trying to offer you a dream place to rest and have all the comfort and hygiene to make you feel at home. 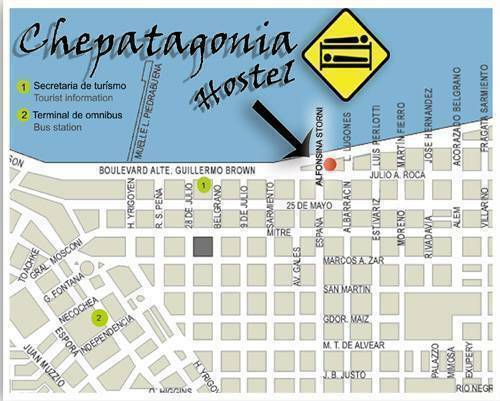 Make your mind up… Chepatagonia Hostel is waiting for you!!! In order to carry on your reservation, we need to know your arrival time and the security code of your credit card. For further information, contact us by e-mail or by phone. We are at your disposal. 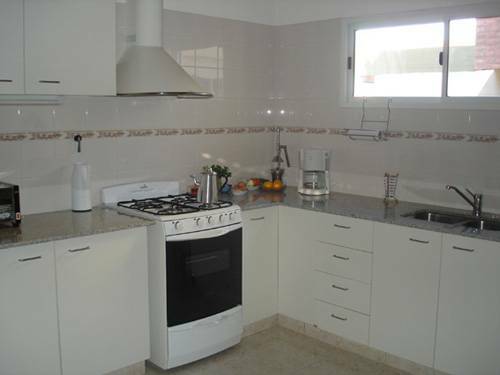 Nearest airport: 8 Km, "El Tehuelche Airport"